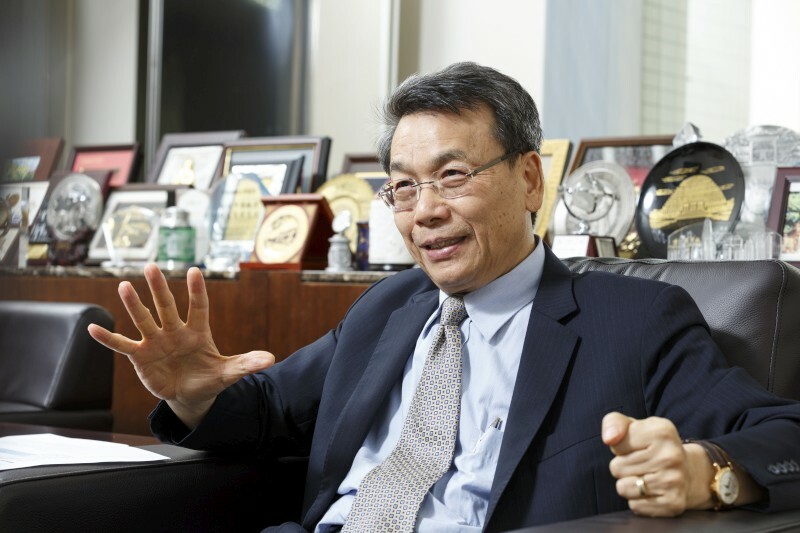 To the honor of China Medical University, Chancellor Wen-Hwa Lee has been elected as one of the National Academy of Inventors (NAI) Fellows in December 2014, for his distinctive achievements in the field of cancer genetics. As the first deserving president of universities in Taiwan to have earned such an entitlement, Dr. Lee and his contributions are glory to the entire body of China Medical University. 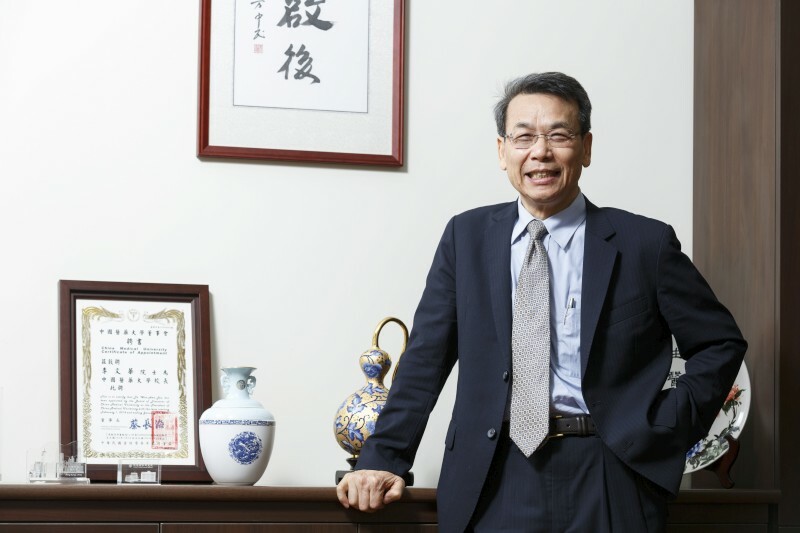 Another 2014 NAI Fellow in Taiwan is the President of Academia Sinica, Dr. Chi-Huey Wong, one of the world renowned researchers of the synthesis of oligosaccharides. As a renowned expert in the field of cancer biology, Dr. Wen-Hwa Lee has dedicated his life to the research of molecular cancer genetics. In 1986, he was among the vanguard to discover the tumor suppressor gene “retinoblastoma protein” (abbreviated and hereafter referred to as “RB”) in the human history. The discovery has ushered in a novel approach to investigating the causes of cancer, and has had strong implications for cancer therapeutics. In 1987 Dr. Lee was nominated for Nobel Prize in Physiology or Medicine, and in 1994, at the age of 44, he became an academician of Taiwan's Academia Sinica. In 2014, The National Academy of Inventors (NAI) nominated 170 distinguished innovators as NAI Fellows, the total number of whom so far is only 414, among whom 21 are Nobel Laureates. They represent more than 150 prestigious research-oriented universities, governmental and non-profit research institutions, renowned for unparalleled academic impact, ingenuity, and tangible contributions to improving the quality of life, economic development, and the welfare of society. "We are delighted to recognize the 2014 NAI Fellows and their unparalleled commitment to excellence in academic invention," stated NAI President Dr. Paul R. Sanberg. "Their many discoveries have made a truly significant impact on society and we are proud to honor them for these contributions." The elected NAI Fellows will be inducted on March 20th, 2015, as part of the 4th Annual Conference of the National Academy of Inventors at the California Institute of Technology in Pasadena. 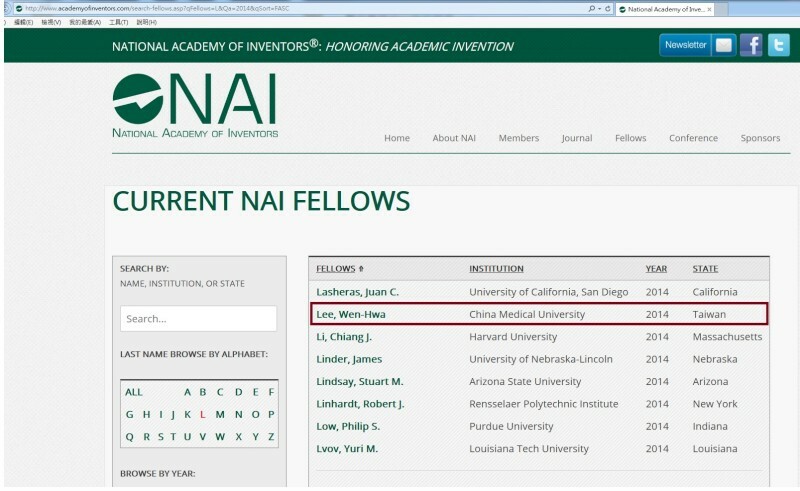 Notably, Dr. Shinn-Zong Lin, a globally renowned neurosurgeon, Superintendent of China Medical University Hospital Beigang Branch and Tainan Municipal An-Nan Hospital, was awarded as NAI Fellow in 2012.